1. 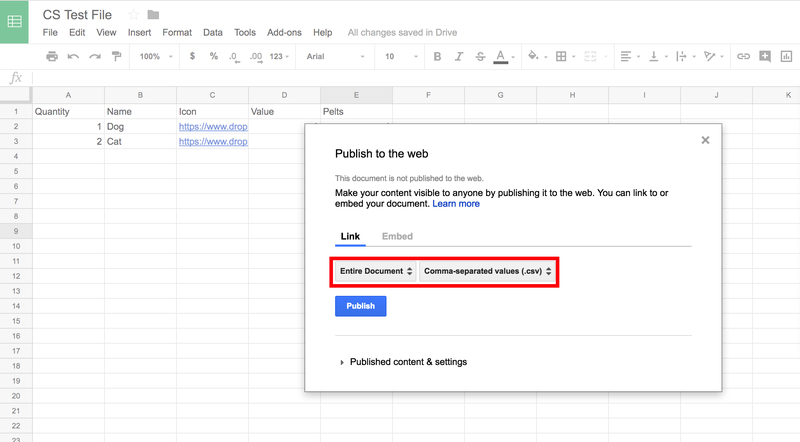 Start in your Google Sheets spreadsheet. Click on "File", then "Publish to the web...". 2. In the dialog box that pops up, under Link, select "Entire Document" and "Comma-separated values (.csv)", then click on "Publish". 3. A URL for your spreadsheet will now appear in the dialog box. Copy the URL. 4. Back at the Component Studio site, visit https://component.studio/componentsets, select your project, and enter a name for the component set you will be importing. Then click on the green "+". 5. 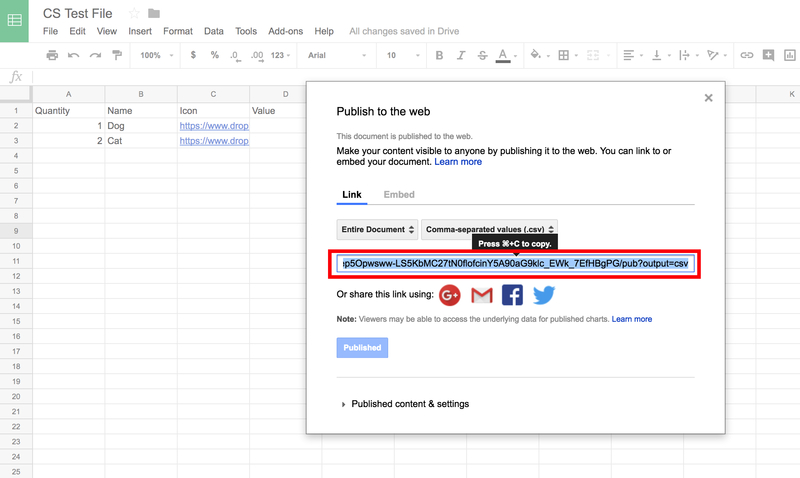 Paste the URL for your Google Docs spreadsheet into the Import from Google Sheets field, and click on "Import". 6. A dialog box will pop up, asking if you wish to overwrite your current data. Click on "Ok". 7. 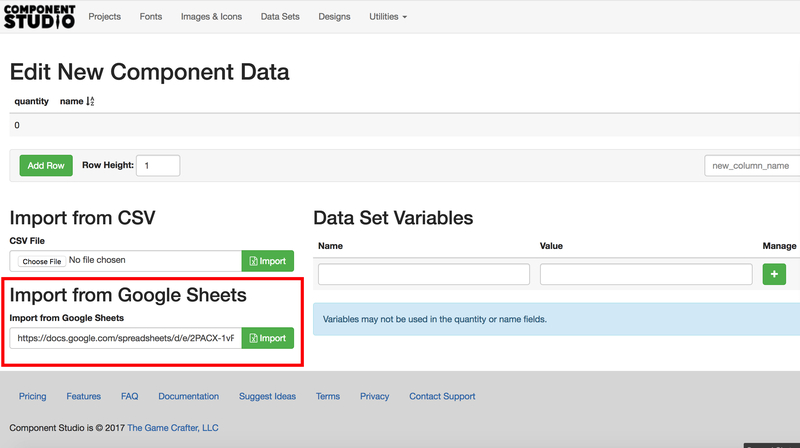 You will now see that the data from your spreadsheet has been imported into Component Studio. 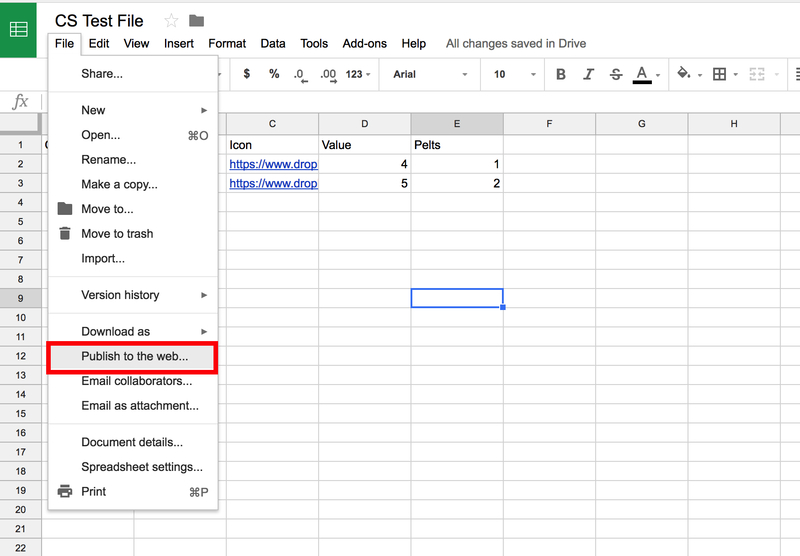 **Please note: If you make a change to your spreadsheet in Google Drive, it takes around 3-4 minutes for the spreadsheet with the new data/changes to be available for importing.